Nemůžete najít Váš motocykl pomocí menu? Zkuste následující vyhledávání. Use our search box above to find clutch parts for your motorcycle or scooter. 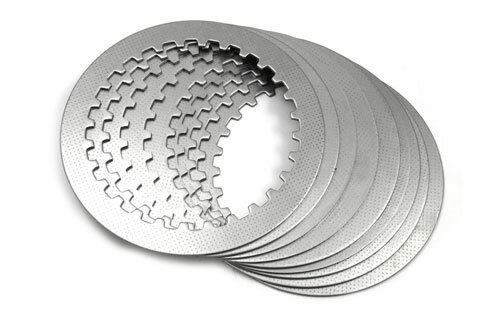 Wemoto offers a comprehensive range of pattern clutch parts from brands such as Gecko, EBC, Barnett Racings and Sachs; covering an enormous number of bikes from Honda, Suzuki, Kawasaki, and many other manufacturers. Most Japanese motorcycles use a 'wet' clutch - the clutch runs in oil which both cools and lubricates the components. For this type, Wemoto stock both Gecko and EBC, offering a vast range of friction kits, cork friction plate kits, steel plate kits and heavy-duty springs, as well as Kevlar kits for race bikes - all tailored specifically to each bike, so that you don't have to spend time looking for individual bits. For installation information, visit our Clutch Installation and Maintenance Guide. Far fewer motorcycles these days have a dry clutch, which doesn't run in oil. 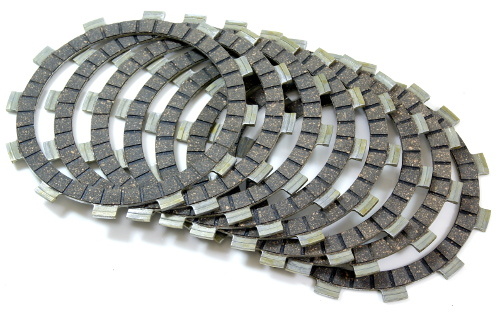 Dry clutches tend to have a larger friction surface so that they can disperse heat more efficiently. They are still popular with manufacturers such as Ducati, BMW and Moto Guzzi; and for these bikes, Wemoto stocks Barnett Racing and Sachs clutches. Most scooters use a centrifugal clutch. 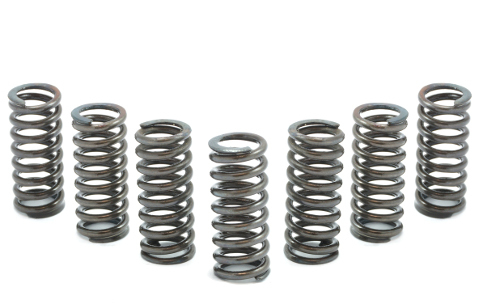 For this type, Wemoto stock complete clutches and springs. We can also supply variators and rollers in various weights and sizes. See our Guide to scooter clutches, variators and rollers for more information.